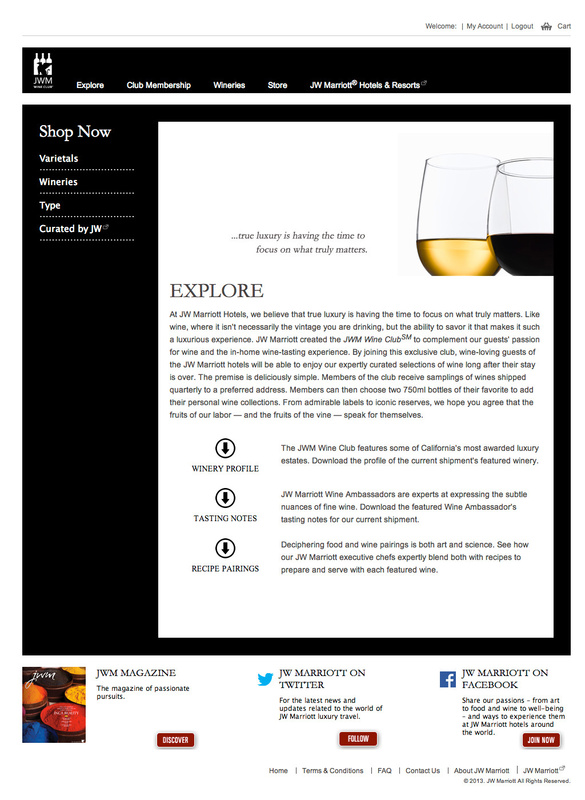 Wine club site for JW Marriott. 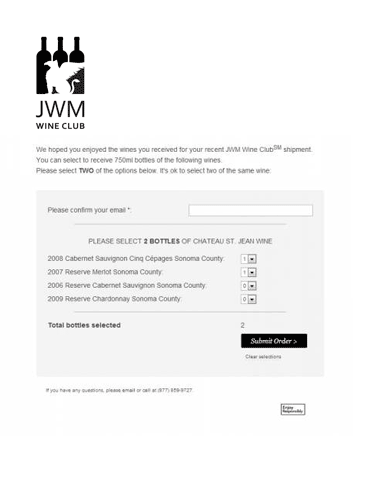 JWM Wine Club was created in June 2012 by Marriott® to offer guests and VIP members the best wines from finest Napa vineyards. Club curated by wine ambassadors from Marriott resorts and wineries to ensure best possible experience for wine club members. 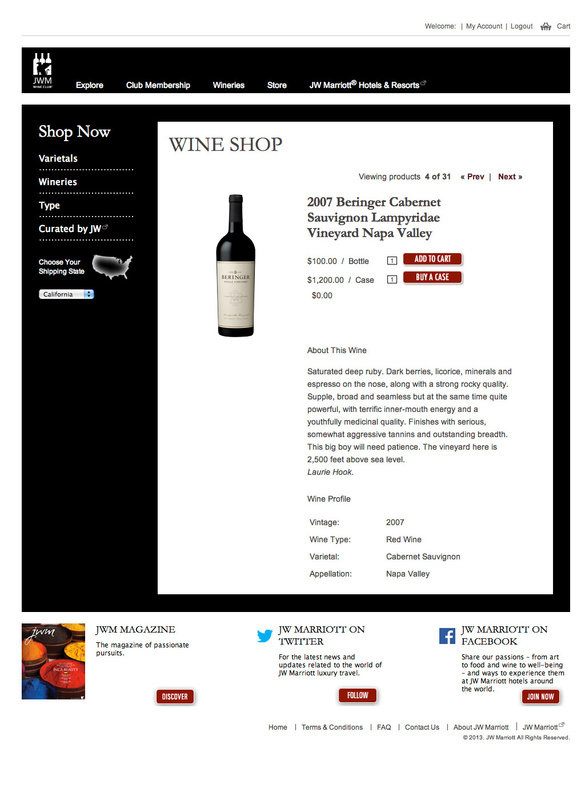 The club offers exclusive wines available for purchase only at cellar doors. 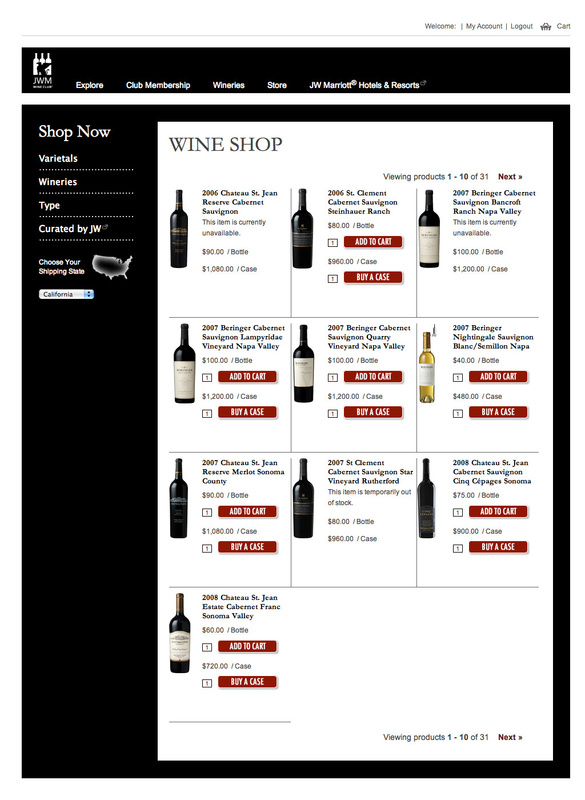 The unique shipment flexibility was built for online selection: a club member is able to adjust club shipment to get the favorite types of wine. A user selection defines the next shipment base selection. This adds a personal touch to each club shipment. After 3 years, in April 2015 club was inherited by Cellar360. My role: Front-end implementation, system integration, marketing automation, CMS customization, form validation scripting.